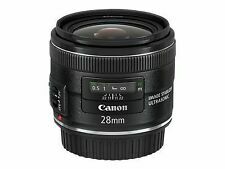 Canon EF 28mm F1.8 Ultrasonic Autofocus Wide Angle USM Lens. This lens is in very good condition fully worksThis lens produces very sharp images and is in full working order. 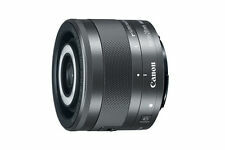 Highly portable wide-angle lens with a good price-to-performance ratio. Exposure modes are obtained on the lens auto setting on digital models. The lens barrel is in excellent condition. The focus and zoom rings have a smooth action and all electronic functions work correctly. This lens is excellent condition. See pictures for condition as item is being sold as is. Nikon 28mm f/2.8 Series E. Great condition. In great condition. Olympus OM mount manual focus. 28mm f2.8Lens. Good condition - Lens optics appear clean and dust-free. Box is missing the top flap but has insert. 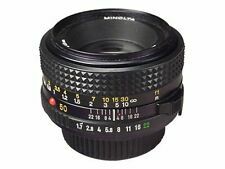 MINOLTA 28mm f3.5 MC ROKKOR SG WIDE ANGLE LENS - MINT! It's a good wide angle lens that does a really good job in low light aswell. Used but in very good condition.No scratches. Industar 69 2.8 Russian pancake lens. Tamron Adaptall 28mm F2.5 Olympus. Condition is Used Small scratch on front and 1 small spot of fungus. Dispatched with Royal Mail 2nd Class. Nikon Nikkor 28mm Lens SLR Camera Accessories Made in Japan. Condition is Used. Looks like it could do with a clean, but I am not going to touch it with my inexpert hands. Includes leather like case stamped 'Made in Japan' Dispatched by Royal Mail 2nd Class. Lumax Wide-angle lens. Condition is Used. Screw fitting Comes with Hoya 62mm Skylight and carry case. No. 760217 Dispatched with Royal Mail 2nd Class. (check your manual for features available). SMC Pentax-M 28mm f2.8 Lens.Lens is in great condition no scratches or fungus that I can see.Lens has not been used for some time but is still free turning and the f stops click nicely. If you do have any questions please ask. Please note this is a UK auction and I will only send after payment. Condition is Used. Dispatched with Royal Mail 2nd Class. Pentacon Prakticar 1:2.8 lens f = 28mm. This is in good condition and in working order. Prices have just risen yet again! Vintage Asahi, Super Takumar, 28mm, f3.5 Lens. 42mm Screw Mount. This is a good example of the Asahi, Super Takumar, 28mm, f3.5 Wide Angle Lens. It has a 42mm Screw Mount. The lens operates in auto or manual modes. 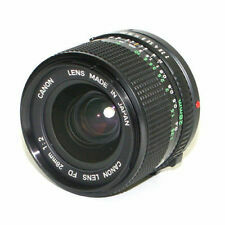 CANON FD 1:2.8 28mm Classic Wide Angle Lens AE-1 A-1 AV-1 F-1 & T Range. Condition is Used but it is in excellent condition. No scratches on lens or casing. No front lens cap only protection cap on back. Dispatched with Royal Mail 1st Class. This lens is clean and free of any visible fungus. Excellent condition, silver nose edition. Comes with both caps. Olympus Silvernose 28mm f3.5 OM Zuiko Lens. Condition is Used. Dispatched with Royal Mail 2nd Class. Describing as clear in this context is to differentiate between old lenses with serious internal haze, fungus or wear to outer coatings that will affect lens performance. I always do my best to resolve any issues that arise. 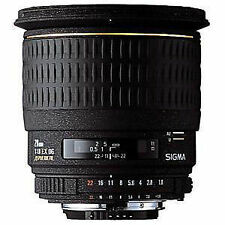 CANON EF FIT ADAPTED SIRIUS F/2.8 28mm WIDE ANGLE FAST PRIME LENS WITH CASE. Condition is Used. Dispatched with Royal Mail 1st Class. PENTACON/PRAKTICAR 1:2.8 28mm MC WIDE ANGLE LENS. PRAKTICA BAYONET (PB) MOUNT. It’s the1:2.8 28mm MC Wide Angle and it’s got the Praktica bayonet (PB) mount. This lens is suitable for all SLR ’s with this mount, i.e. all the B series. This lens can offer professional effect for mirrorless cameras, the optical glass lens is clear with high transmittance. The multiple coating can block unnecessary light to create quality images. 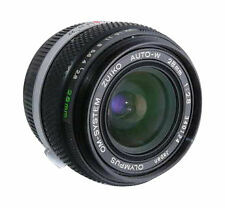 The lens has a 28mm fixed focal length, suitable for various kinds of shootings, portraits, scenery, still life, etc. Features:. Nikon Lens Series E 28mm 1:2.8. Condition is Used. Comes complete with carry pouch Dispatched with Royal Mail 2nd Class. 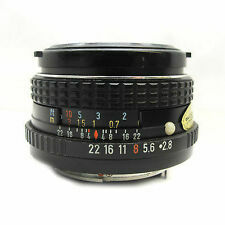 Nikon Nikkor AF-S 28mm f/1.8G lens in excellent condition. 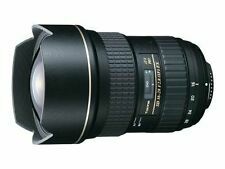 This is a great lens and worked very well with the Nikon D700 body that is also for sale. Nikon 28mm 1:2.8 AF Nikkor Wide Angle Lens. Condition is Used, but in excellent condition. Dispatched with Royal Mail 1st Class. Currently used on a full frame D750 with excellent results. Selling due to purchasing an upgrade. Externally showing moderate signs of use/wear that you might expect of a lens this age. 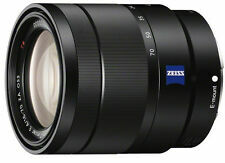 New listingSMC Pentax-A 28mm f2.8 PK-A Mount wide angle. f/ Film & Digital, K1, K1000, LX. Electronics - 10. No fungus, no scratches, no marks, no haze. Optical -9.5. aperture blades stop down correctly. Lens is clear and clean, free from haze/fungus. Focus and aperture are fully functional and tested. Yashica ml 28mm F2. 8. Nice example of this lens for the Contax/Yashica bayonet mount. Clean glass, snappy iris and smooth focus. Sold with original back cap and genuine Yashica UV Filter. The optics are clean and clear; the lens is tested and working correctly with a snappy iris and smooth focusing. The outside of the case is worn, as to be expected, but the inside is very good. Tamron 28mm Wide Angle Lens With Nikon Adaptall 2 Mount and Hard Case. Tamron 28mm Wide Angle Lens With Nikon Adaptall 2 Mount.. Condition with no haze, scratches or fungus. Comes with Tamron Branded Hard case. Condition is Used. Dispatched with eBay delivery – Shutl 2-3 days. The glasses are scratches free, No fungus! No Haze, Aperture is running correctly! A nice TOP lens. lens made in Japan, Serial Number:6936237. (A) what look like cleaning marks on the lens glass, when caught in the right light. Neither of the above affect operation or the image quality, see sample photos taken on a Nikon D7200. Nikon NIKKOR AI 28mm 1:3.5 Manual Focus with PROGRAMMABLE CHIP!!! Nikon Nikkor 28mm f/2.8 Ai-s lens. EXC+ cond. Fantastic wide optic! +HN-2 hood.